This has been a wonderful year for my Clarion West class. Here’s a highlight of some of the big moments for my classmates, with a list of publications following. Writers of the Future Amazingness! 2011 Westies also did stellar work in the Writers of the Future Contest. Nick Tramdack, Mark Pantoja, and Alisa Alering were all finalists, with Alisa Alering going on to win the 4th Quarter! She’ll be at the Writers of the Future workshop in LA with Nina Kiriki Hoffman this year, and is eligible for the grand prize. I’ll be watching the stream of the awards ceremony and cheering her on. 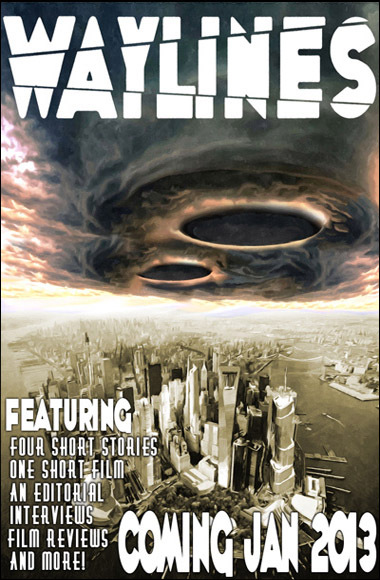 David Rees-Thomas co-founded Waylines: Speculative Fiction and Film. He and co-founder Darryl Knickrehm ran a successful Kickstarter campaign to fund the magazine, and the first issue will be out in January 2013. One of the instructors at Clarion West is almost always an editor. Our wonderful editor in residence was L. Timmel Duchamp of Aqueduct Press. During her week of teaching, she gave us all a call for submission to a new anthology she was editing and encouraged us to submit. The concept is really interesting, one that I think my fellow English composition teachers would like: it is a collection of the untold stories behind famous characters, presented in a Wikipedia-like format. All in all, stories by seven of the Clarion West class of 2011 will appear in this anthology: Missing Links and Secret Histories: A Selection of Wikipedia Entries Lost, Suppressed, or Misplaced in Time. Cheers to Jeremy, Anne, Jenni (me! ), Alisa, John, Cassie and Nick! Here’s a list of publications and other writing credits that have been sold or published in 2012. Check out these great stories! “Keith Crust’s Lucky Numbers.” Flash Fiction Online. Forthcoming 2013. “Madeline Usher Usher.” Missing Links and Secret Histories: A Selection of Wikipedia Entries Lost, Suppressed, or Misplaced in Time. Ed. L. Timmel Duchamp. Aqueduct Press. Forthcoming. First Prize, 2nd Quarter, Writers of the Future. 2012. Finalist, 2nd Quarter. Writers of the Future. 2012. “Delicious.” Every Day Fiction. 14 May 2012. Otherbound. YA novel to be published by Amulet Press in 2014. “Alarms.” Lightspeed Magazine. March 2012. “A Map of the Heart.” (Con)viction anthology. Forthcoming February 2013. “A Dancer for Aonou.” Kaleidotrope. Summer 2012. “Walking Home.” Daily Science Fiction. Forthcoming. “Traffic Jam.” SpringGun. Issue 7. Forthcoming. “Peter Rabbit.” Missing Links and Secret Histories: A Selection of Wikipedia Entries Lost, Suppressed, or Misplaced in Time. Ed. L. Timmel Duchamp. Aqueduct Press. Forthcoming. “Running Wild.” Aurealis, Issue 54, September 2012. “The Statues of Melbourne.” Andromeda Spaceways Inflight Magazine. Issue 56, 2012. “The Tale of the Aggrieved Astrologer.” Beneath Ceaseless Skies. Issue #101. August 9th, 2012. “The End.” Tales of World War Z: Fan Fiction and Stories of the Zombie Apocalypse. 4 July 2012. “A Darker Cycle.” Nihilist SF. Issue 1. 26 November 2012. “Houses.” Miette’s Bedtime Story Podcast. 8 September 2012. “Buck.” Writers of the Future Finalist, 2nd Quarter. 2012. “Waylines Magazine: An Inside Look.” Blog feature by Alisa Alering. 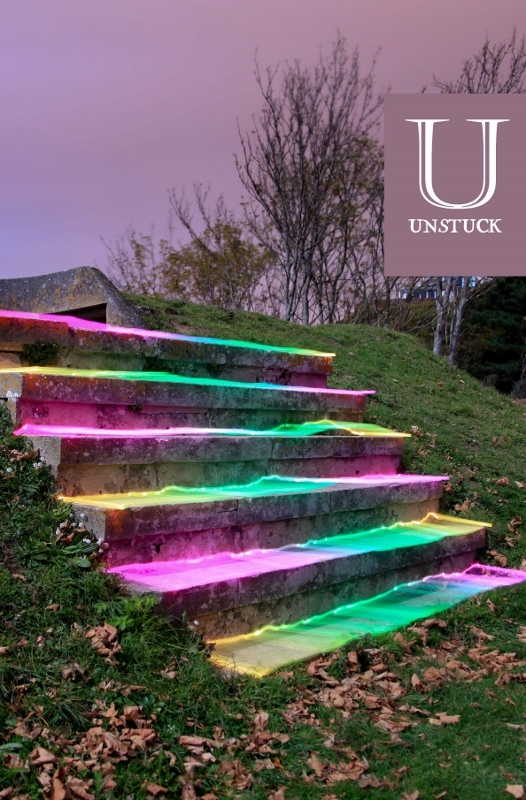 “The Great Loneliness.” Unstuck. Issue 2. December 2012. Reprint of “Night in the Library.” Originally published in Crossed Genres. Issue # 3. February 2009. “Ligne Claire.” Andromeda Spaceways Inflight Magazine. Issue 57. 2012. “Triple Bind.” New Myths. Issue 20. September 2012. 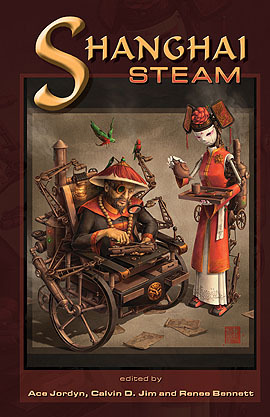 “Legend of the Secret Masterpiece.” Shanghai Steam: A Steampunk Wuxia Anthology. 2012. “The Comeback.” Phantasmacore. 27 April 2012. Finalist, 4th Quarter, Writers of the Future, 2011. “Cold Embrace.” Ray Gun Revival. Issue 14, Vol.2. 2012. “Driving for Peanuts.” Toasted Cake. Episode 23. 3 Jun 2012. Text version available here on Alberto’s website. “Recognizing Gabe: un cuento de hadas.” Strange Horizons. 16 Jan 2012. Audio version at PodCastle, Episode 235. Read by Brian Lieberman. 23 Nov. 2012. Congrats to all of my Clarion West classmates on a great year of writing! I'm trying to get in touch with Jack Nicholls (about his story The Tale of the Aggrieved Astrologer). Can you help?